We’re happy to share the progress on our new facility, as well as let you in on a couple pieces of good news. 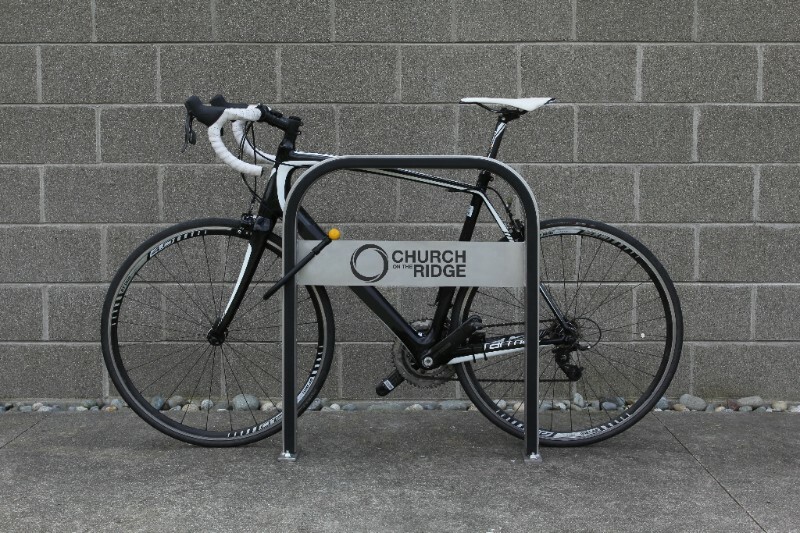 In particular, we want to especially mention that six branded bike racks are being donated and will be installed around the new facility. Bike racks fit our community’s love for the outdoors, and the donation is worth thousands. In addition, the Electrical Contractor is a part of Church on the Ridge and has agreed to complete his work at cost. This provides a significant positive impact on the overall budget and makes funds available for other areas. This was a step of faith for the contractor and a huge blessing to Church on the Ridge. And now, other contractors are considering doing the same. Thanks for your input on whether to go with manual flush or automatic flush toilets. Your feedback was clear! 81% favored manual flush vs. 19% who favored automatic flush toilets at $12,000 more. No only are the manual flush toilets less expensive; they are also less likely to scare the living daylights out of your kids when they flush prematurely! The plan is now to go manual flush toilets with auto-flush urinals. We will reach 90% on our architectural drawings by the end of the week. This is a significant step because it allows us to formally apply for our building permit, and at the same time to obtain our guaranteed maximum price (GMP) with our General Contractor. We have secured an audio, video, lighting, and networking (AVLN) contractor to design and install the aforementioned technologies throughout the facility. His recent work includes systems at Saddleback Church and Bayside Church in California. This is all a part of the value engineering process. We are still praying we will have enough income to build our planned terrace. The next step is submitting the drawings for permits. After that, all vendor contracts will need to be signed in the following 45 days, which then gives us the GMP. Continue to fulfill your commitments to a Cornerstone for Generations. Consider setting your gift to an automatic, recurring gift.